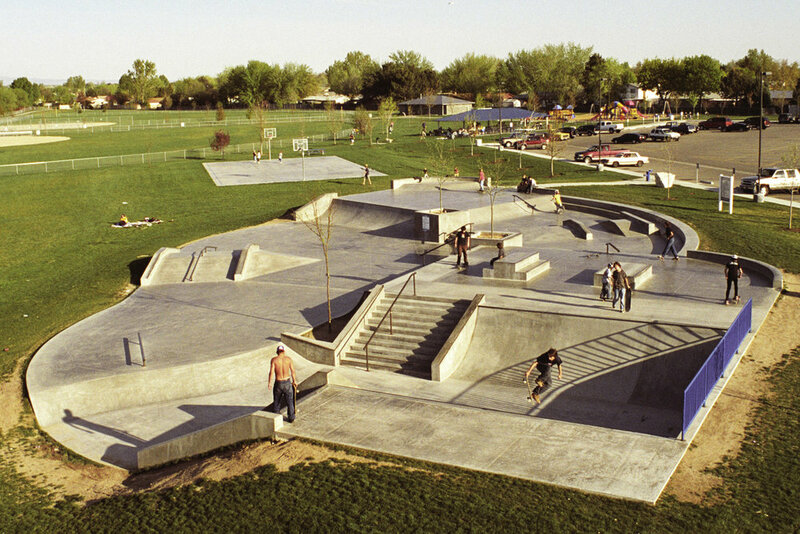 Tully Skate Park — The Land Group, Inc.
Project Size: 10,500 sq. ft. The Land Group was contracted by the City of Meridian to design a 10,500 square foot skateboard park. A series of design workshops were held with local skateboarders to determine the type of elements that the park would include. Using this process, a conceptual design was created and used to develop construction documents. Construction administration was provided throughout the construction process to ensure that the park was built per the drawings and specifications.